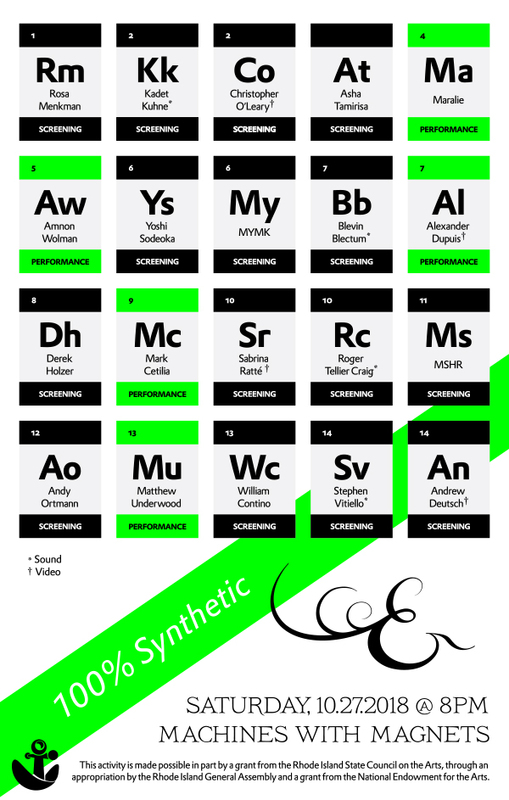 We are excited to unveil the new Estuary DVD, 100% Synthetic at Machines with Magnets on October 27. 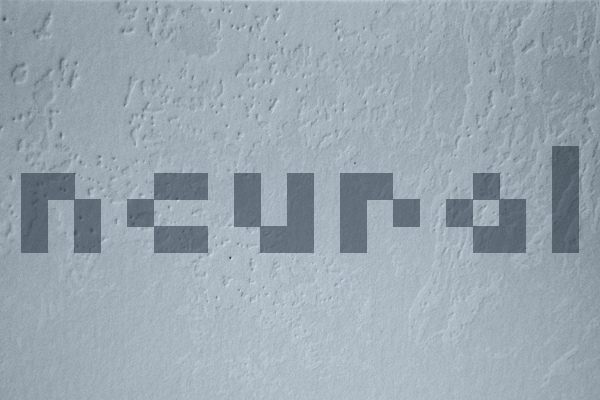 This release has been a long time in the works, and we’re really happy with how it all came together. In addition to performances by Maralie, Amnon Wolman, Alexander Dupuis, Mark Cetilia, and Matthew Underwood, the event will feature screenings by Rosa Menkman, Kadet Kuhne & Christopher O’Leary, Asha Tamirisa, Yoshi Sodeoka & MYMK, Blevin Blectum & Alexander Dupuis, Derek Holzer, Sabrina Ratté & Roger Tellier Craig, MSHR, Andy Ortmann, Matthew Underwood & William Contino, and Stephen Vitiello & Andrew Deutsch. 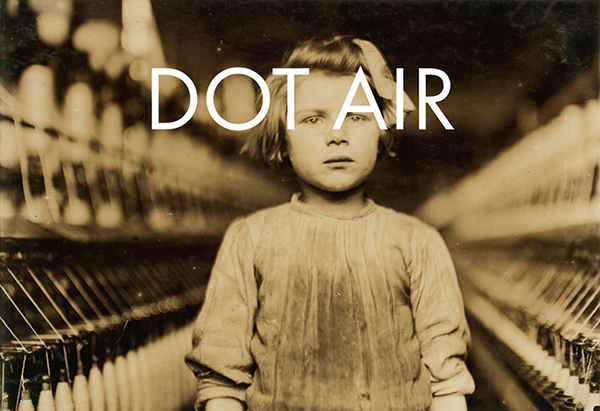 We are pleased to announce that a number of Estuary artists will be performing at this year's DOT AIR Festival atop Pawtucket's downtown parking structure at 1 Park Place on August 20 from 4-11pm, followed by the DOT AIR 2016 afterparty a block away at Machines with Magnets immediately after: Work/Death at 5pm, Sarah Hennies at 6:20, Mem1 at 8:30, Donna Parker at 9:10, Universal Cell Unlock (Christopher Forgues) at 11:10, Valerie Martino at 11:50 and Blevin Blectum at 12:30am. 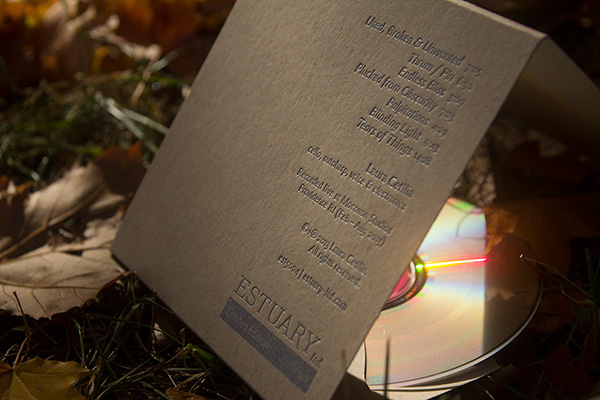 Selections from the Estuary Ltd. catalog will also be played between acts throughout the day... For more information, go to dotair.org. 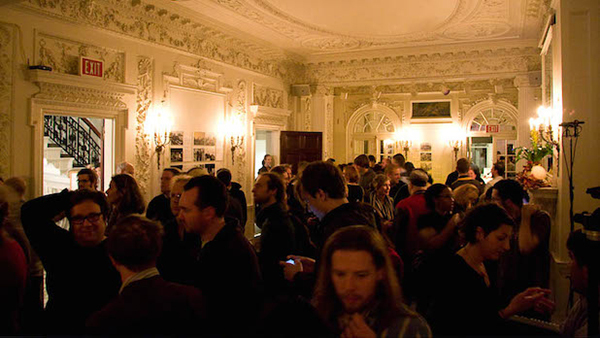 Non-Event is hosting a fundraiser to help support their upcoming season at the Goethe-Institut in Boston on Sunday, September 27. The night will feature performances by Dinnersss (Jimmy Hughes), Phurnne (Andrea Pensado, Jenifer Gelineau, Stephanie Germaine), and Vapor Gourds (Jake Meginsky), as well as DJ sets by Angela Sawyer (Weirdo Records) and Ricardo de Lima (Spectacle, Pico Picante). Tickets are $25, and include a raffle and drink ticket; the raffle will include prizes from Estuary Ltd. as well as Boston Hassle, Important Records, Matt Krefting, Jason Lescalleet, Moss Archive, Non-Event, Opensignal, Room40, Together Festival, and YDLMIER. For more information, go to nonevent.org. We‘re excited to announce that we will be hosting a release party on Saturday, September 12 at Machines with Magnets in Pawtucket, RI, for the upcoming Estuary release, A Simple Procedure. This release is comprised of 42 new works by a host of incredibly talented musicians from across the map (figuratively and literally), plus a realization of John Cage‘s Imaginary Landscape No. 5 using these works. One 7" lathe-cut record of each work will be available, as will the full collection of works in the form of a 2 CD set (200 copies). 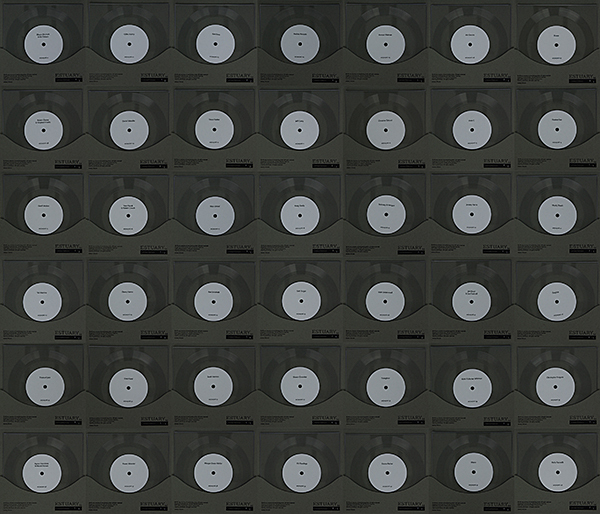 Both the lathe cut records and 2 CD sets will be packaged in letterpress printed, die cut, and hand numbered editions. The release party will include performances by 14 artists featured on A Simple Procedure as well as live realizations of John Cage‘s Imaginary Landscape No. 5. For more information, please visit the Facebook event page. 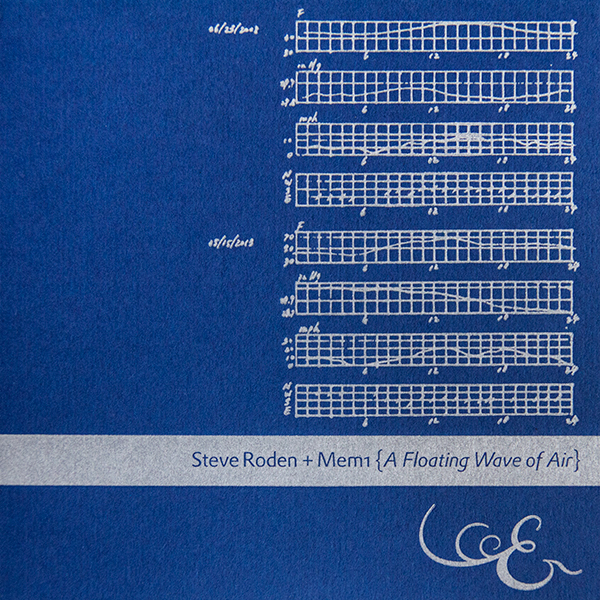 Steve Roden and Mem1’s new collaboration, A Floating Wave of Air, comprised of recordings made on two occasions separated by five years, is now available in a letterpress printed / hand numbered edition of 200 carefully crafted releases. For more information, please visit the release page, or to buy it now, go to the shop. 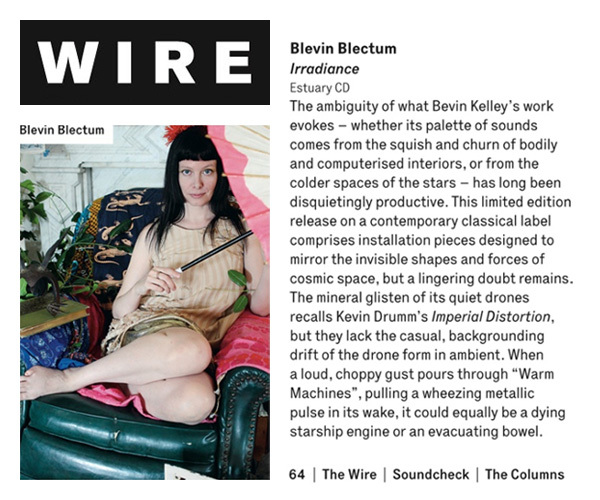 The reviews have started pouring in for Blevin Blectum's Irradiance, including a nice writeup in September's edition of The Wire. Hear / read more about it here, or buy it now via the shop. 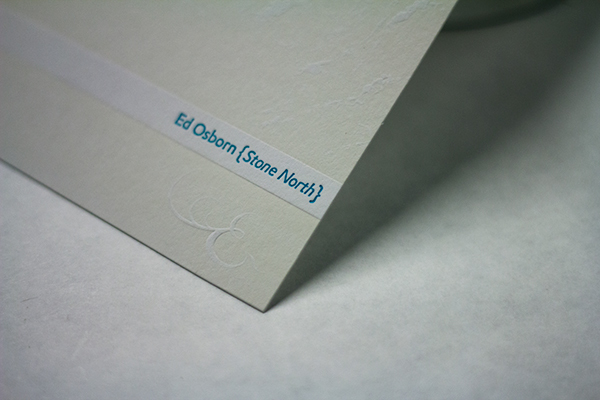 New review of Ed Osborn's Stone North from Neural: "dense with sensitive connections, idealized and gathered together giving life to a listening experience that is perhaps not immediately gratifying, but has an undeniable charm, depth and pleasure. This is absolutely a release not to be missed." Read the full review here, or buy it now via the shop. 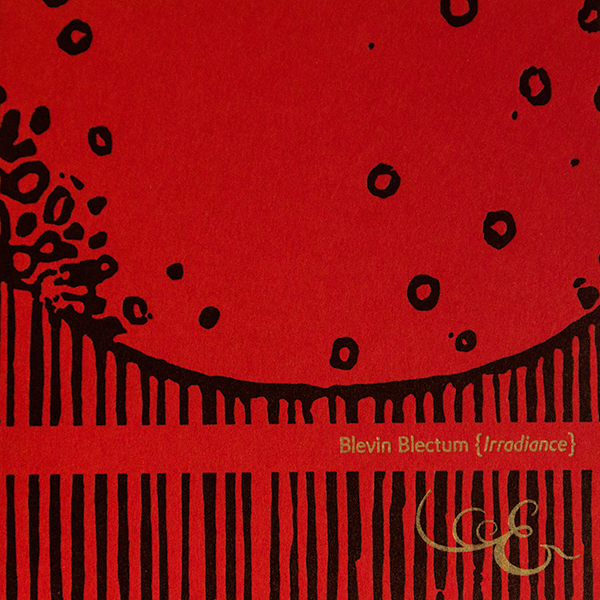 Blevin Blectum’s sixth solo album, Irradiance, a collection of material that was originally generated for an immersive installation/performance space with ten channels of sound spreading a moody delusion involving planetary/solar magnetic lines of force, antique hot air filling rooms through the patterns of decorative iron grates, late evening decrepit pump organ sessions, and real-time-processed scraps of percussion, is available now in a letterpress printed / hand numbered edition of 200 carefully crafted releases. For more information, please visit the release page, or to buy it now, go to the shop. Laura Cetilia’s new album, Used, Broken & Unwanted, a collection of live-in-the-studio recordings from February – August 2013 made using cello, autoharp, voice & electronics is available now in a letterpress printed / hand numbered edition of 200 carefully crafted releases. For more information, please visit the release page, or to buy it now, go to the shop. We’re proud to present Stone North, internationally-renowned sound artist Ed Osborn’s first full-length album since 1989, a collection of recordings made over twenty years of artistic practice. This release is available now in a letterpress printed / hand numbered edition of 300 carefully crafted releases. For more information, please visit the release page, or to buy it now, go to the shop. 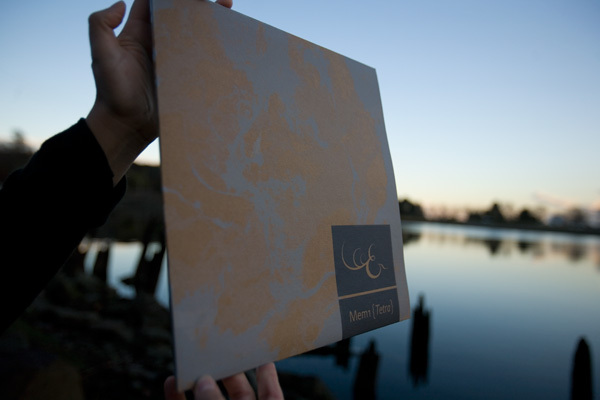 Estuary Ltd. is proud to present a new series of releases beginning with Mark Cetilia’s Impact + Aftermath CD. This release is available now in a letterpress printed / hand numbered edition of 200 carefully crafted releases. 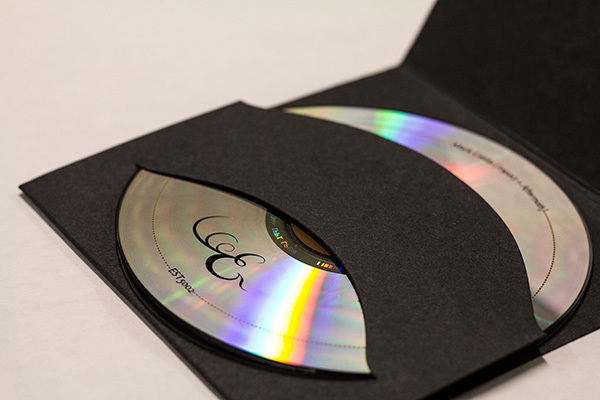 Each copy comes with a download code for an HD video of the audiovisual work Pulse Shape 22 For more information, please visit the release page, or to buy it now, go to the shop. 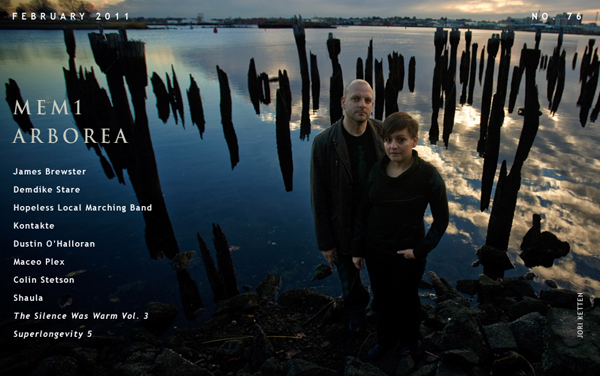 Having performed together under the Mem1 name since 2003, Mark (analogue modular and electronics) and Laura Cetilia (cello and electronics) have developed a symbiotic and highly personalized approach to experimental music-making that’s commendably uncompromising, and ample evidence of their approach is captured on the duo’s fourth full-length album, which was recorded during the spring months of 2010. 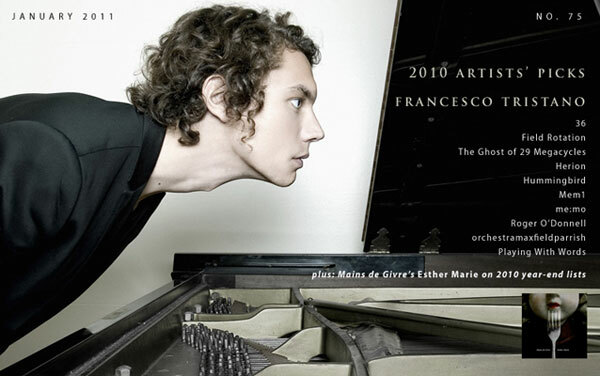 Using custom hardware and software, the pair manipulates the cello’s natural timbre using real-time modular synthesis patching, a process that results in a sound that’s unique and immediately identifiable as Mem1. The sound world created by Laura and Mark Cetilia is dark and otherwordly but very human nonetheless. Far from exploring desolated isolationist realms, Tetra displays an astonishing primal energy that transcend the duo’s intentions, and turns this album into something rather unique and beautiful. This triptych of constructed stories, full of beautiful harmonics, raw noise and sonic impurities is certainly affecting. 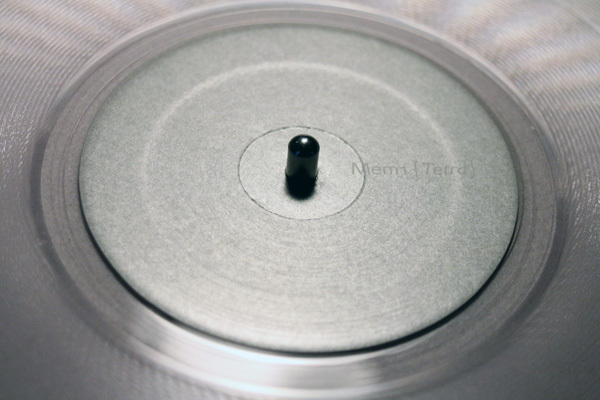 There is something about Tetra that really resonates; there feels like an exploration going on, a fervency to finding new sounds, and a need to align them in new ways. A highly rewarding listen, one that allows the listener to embed themselves within, become lost in and suspend time for the album’s duration. The measured brush strokes on Tetra are a triumph for Mem1. Each moment is significant to the next as these three profound pieces move beyond the reality of the sounds to create an ongoing expedition into the uncanny. Read more about the album on our Press page, or pick up your copy now from our shop. 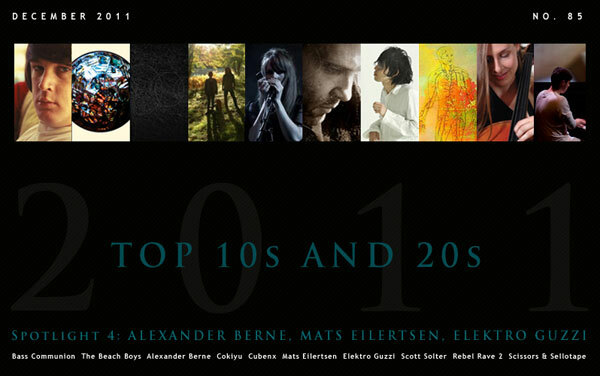 Mem1’s “Top 10 Most Influential Live Performances” are featured in this month’s issue of Textura magazine. Check them out at textura.org. 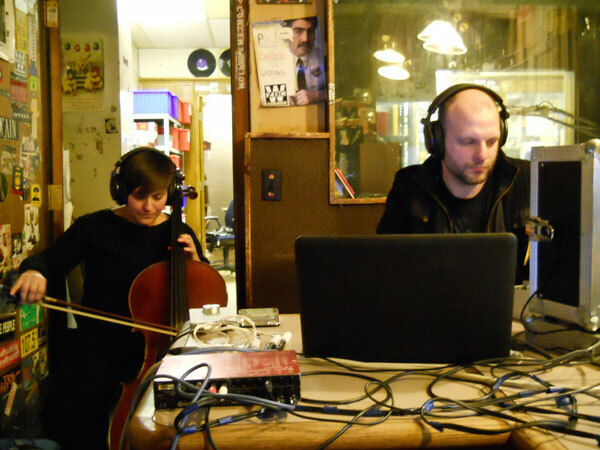 Mem1 recently stopped by Rare Frequency in Boston for a live in-studio performance. Check out their interview with Susanna and download an exclusive podcast from the Rare Frequency site now! Tetra featured in this month’s Textura. Check out the review at textura.org. Estuary Ltd. is proud to present its inaugural release, Mem1’s Tetra LP, available now in a numbered edition of 300 carefully crafted releases on 150 gram clear vinyl with silkscreened artwork designed and hand-printed by Mark Cetilia using metallic inks. For more information, please visit the release page, or to buy it now, go to the shop.